What is there in a blog that makes it so affable? As we know, the phenomenon of blogging started off as a personal log book and uneventfully went off to create a space where knowledge sharing is no more personal but public engagement. Blogging continues to mix the individual’s point of view and the public service in general with a subtlety of tone. For some it has evolved as a space for making money with content marketing, for others as a platform of communication. Whatever may be the purpose behind it, blogs take out a good percentage of overall online content space and in a variety of forms. At this juncture, we would like to see what kind of blogs top the list of online readers. Technology: Technology perhaps has given pace to human race in more ways than one can imagine and has also mounted for a good amount of unanswerable questions. The latter is the cause of popular technology blogs that help users with answers on gadgets, features, usability and complications. Marketing: For brands and products to talk about that special new aspect, blog is the best medium. No matter what, a simple communication through blog is the answer to the new marketing tool and a platform for consumer interaction. News Feature: People like to prowl the internet for news and views. A plain news article may not be the catch everyday but with an opinionated blog, one is sure to grab more eyeballs. Video amalgamated news feature blogs are a hit in this category. How To: Give rest to the textbooks because the new age formula for experiments is here. The ‘how to’ blogs are one of the fastest catching sensation on the net. From dressing up to cooking to fixing things, all the answers lie in a blog that deals with the specialized solution. Travel: Men and women of the wanderlust kind found the answer in travel blogs. The readers and authors are of the same species here. This blog type has its very own kind of followers and it has come as a sigh of relief for people who could now visit places with virtual reads, since they miss out on it in physicality. Humour: Laughter is the best medicine and the good news is it sells too. Blogs with the funny bone have tickled a huge amount of fan base on the web and continues to engage more with viral sharing via the social networking sites. Blogging seems to be the new past time for the people of the digital realm. A blog essentially acts as a channel through which individual opinions and views can be voiced. This unique platform also serves as a highly lucrative channel for brands to advertise their products or services. Below are listed some points which can help you to advertise better through blogs. 1. Enhanced Credibility: The unique thing about blogs is that they are individual opinion pieces and hence have more credibility. It is important to shape the content on a blog in a conversational as well as slight informal style. 2. Sponsored Reviews: Blogs are getting increasingly popular as a medium to promote sponsored reviews. An informal review on a blog serves as a genuine testament of the quality and effectiveness of the product/service. With blogs, you can also establish an indirect discourse with your target audience. 3. Contextual Ads: An advertisement which is in context of the content on the blog is certainly much more effective than conventional advertisements. The reason being that the ad will serve to be much more relevant and will also fetch a greater click through rate (CTR). 4. Keyword Mix: You must choose the right mix of keywords to promote your product/service through blogs. Blogs can attract a great amount of organic traffic if you use relevant keywords by doing ample research. 5. Backlinks: A blog can be much more powerful with a decent amount of backlinks. You can interact with your fellow bloggers and post their links on your blog to get the same favour back. With greater amount of backlinks, your blog can also rank higher on search engines. The predicament of the advertisers is the oversaturation of conventional channels of advertising which often renders their advertisements as invisible to the target audience. Ads on blogs, however are not relegated into oblivion like conventional ads. 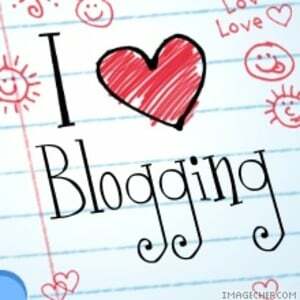 Blogging has become a fairly popular activity due to which thousands of new blogs surface every day. The challenge is how to stand out and build a genuine base of followers. 1. Build Individuality: A blog is something very personal and it must carry a personality otherwise it will just be another webpage. The Internet is saturated with generic content and people read blogs to break this monotony. Always accentuate your posts with a personal touch to make your blog essentially unique. 2. Maintain Consistency: There is no substitute for posting regularly on blogs as it naturally generates a trail of followers. Posting consistently also ensures that your followers have minimal trouble following you blog. Greater content on your blog will also help your blog to rank better on search engines. 3. Interact: Interaction is central to the very idea of a blog. You must respond to comments so that your audience feels involved with your blog. Techniques like polls can also be used to invite opinion and feedback from your followers. 4. Talk to Them: A blog must talk to the readers not inform them. No matter what kind of information you share, your writing style must build a rapport with your audience. Know your audience and write accordingly. Wittiness and humour also helps to build a bond with your followers but it must be used with caution. 5. Accentuate the Content: Your page should not look like a chronicle of information. Adding photographs and videos will enable your blog to cast a better impression on your readers. Your blog should also have a well defined structure, so that the reader can navigate through your blog easily. An ideal blog is a unique, creative and personal webpage. It must project the individual personality of the author. There are no set rules that pertain to blogging. So, never be shy of doing something out of the box.